Nicknamed “The Athens of the North,” the capital city of Scotland is charming and full of history. Not only is Edinburgh built at the base of an extinct volcano and draped across a series of hills overlooking the the sea, but the old town looks like something straight out of Harry Potter as the main road leads you up cobblestone paths, past the towering spires of century-old steeples, until the street opens up to a beautiful castle perched precariously on the hill. Edinburgh seems a city out of time, and if you’re looking for a slower, older vibe in a European capital then I highly recommend checking out this beautiful destination! 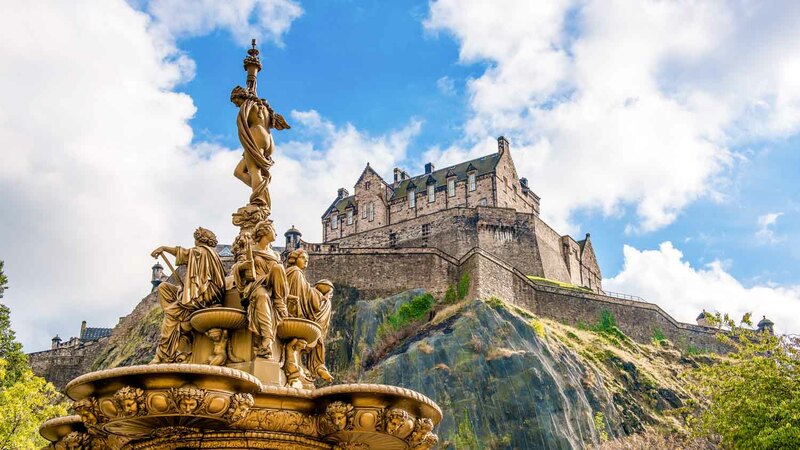 The most famous road in Edinburgh, the Royal Mile runs through the heart of Old Town and connects Edinburgh Castle, sitting high on a base of volcanic rock, to the sprawling palace of Holyroodhouse. The street is lined with cozy cafes and world-class shopping, so I would block out an entire day just to walk the path and take it all in. At the end of the Royal Mile sits Edinburgh Castle. For a price, you can tour the inside of the castle and learn all about its history; however, the best part of the site is the view of it from the outside and all of the amazing photo ops in front of it from all over the city! Off a back street along the Royal Mile, make sure to stop in at this absolutely stunning cemetery. Some of the graves date back to the 12th century, and it isn’t uncommon to see locals napping in the sun or having a picnic with their ancestors. 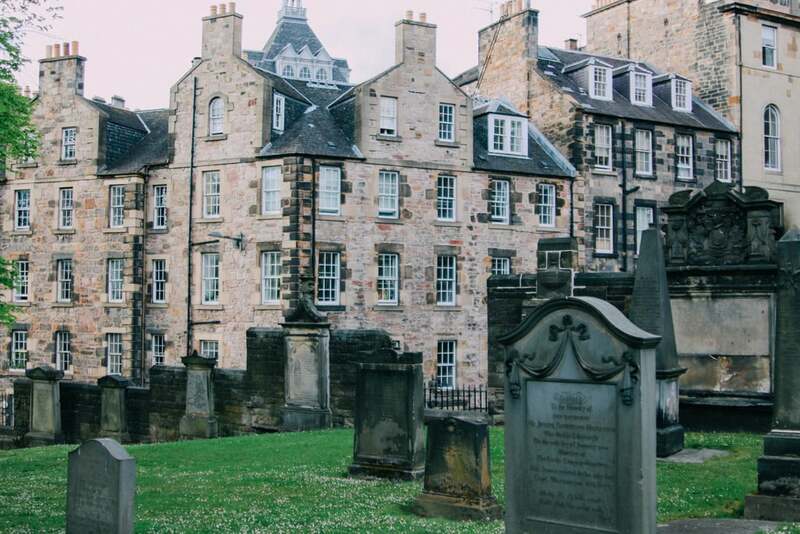 Of course, there’s also the fact that the graves in this kirkyard inspired some of J.K. Rowling’s characters in the Harry Potter franchise (think Tom Riddle or Prof. McGonagall). Not so much an attraction to check out, but if you are considering a trip to Scotland I can’t recommend this hotel enough. 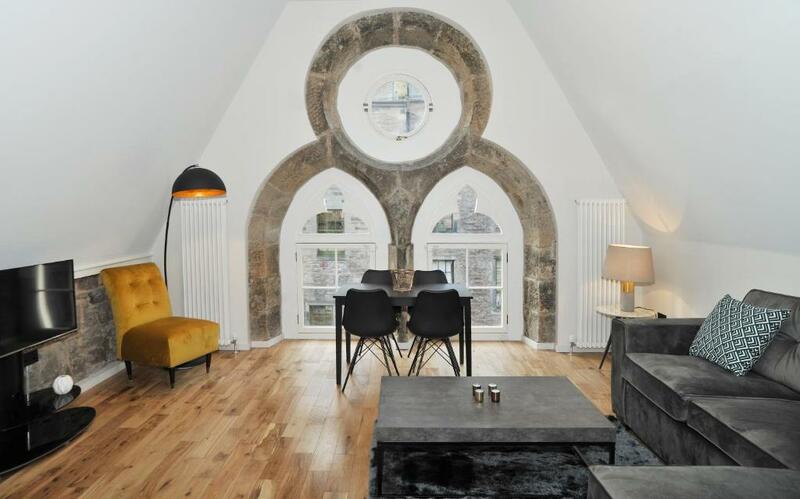 The Blackfriar Lofts are located just off the Royal Mile, and the hotel is actually 10 separate apartments located in a converted church from the 1800s. The apartments are spacious and clean, and the mix of original church walls and modern hotel features give the place a vibe that matches Edinburgh so perfectly you would be hard pressed to find a better place to stay. 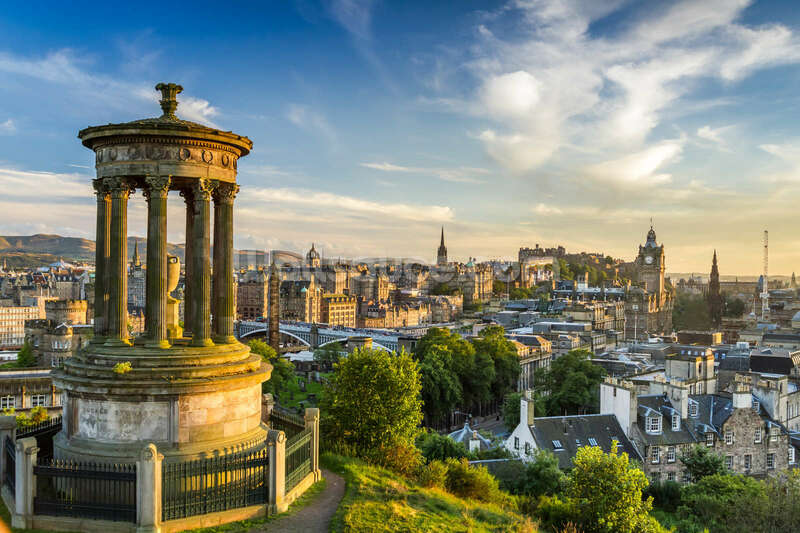 If you’re looking to get out of the city a bit and see some stunning views, hiking to the top of Arthur’s Seat (an extinct volcano that sits practically in the middle of Edinburgh) or going to the other side of the city and making your way up Calton Hill are two awesome options. Arthur's Seat is more of an actual hike and actually reaches high enough to see the sea in one direction and the sprawling city in the other, whereas Calton Hill is just a quick staircase away from the bustling business district. Either way, the views are some of the best in the world and the getting there will be part of the fun. And no, the food isn’t always bland or made of lamb. . . Check out this hole-in-the-wall shop off the Royal Mile for a quick lunch spot. It’s basically a Subway but with baked potatoes, and it’s seriously some of the best food I’ve ever had in Great Britain (where let's be honest the food is never really a highlight the way it is in Spain or Italy). For a fancier dinner option, this wine bar near the castle is a great late night stop. Not only do they serve a full menu of Italian dinner, but the dessert wine flights are absolutely delicious and come with cheeses and chocolate to match! If you want to get out of the city. . .
Edinburgh is beautiful, but you simply cannot visit Scotland without making your way to the Scottish Highlands. We did so by taking a bus and train through the countryside to Loch Ness, and it was the highlight of our vacation. The Highlands are way bigger than they seem, and it’s almost impossible to describe the magical quality of these mountains. Seriously, just check it out for yourself. So there you have some of the highlights of a vacation in Scotland. We did all of this in 3 days, and it didn’t feel rushed at all as the small city and country made getting around simple and fun. Edinburgh is one of those cities that gets passed over in favor of the showier London or Glasgow, but I can’t stress enough how beautiful this city is and how worth it it is to make your way there for a weekend!